The middle of August here in Florida means several things: the summer season weather-wise (hot and humid) is about half over, but more importantly, schools are back in full swing. Even if you do not have any children that are school-age, you know school is back in session with the significant pick up in traffic and congestion on the roadways as you try to make your way to and from work. That also means you must be significantly more careful where ever you are driving at this time of year. Plan to leave your home a few minutes earlier than you did during the summer to get to your destination. Between school buses, kids walking and on bikes, and parents trying to drop off or pick up their kids, traffic congestion is significantly more than it was just two weeks ago. Adjust for that so you keep yourself from getting frustrated, angry and impatient behind the wheel. Even the safest of drivers can not predict a child darting out into the middle of the road apparently out of nowhere. The slower you are driving, the more time you will have to react when unexpected, potentially dangerous actions by others, particularly kids, happen. Do NOT pass a bus that has its “Stop Sign” and blinkers on. Ever. If you or a person you care about gets injured or killed in an automobile accident caused by negligent driving or you simply have a question about a potential personal injury situation that you have not yet had answered, please call us at Slinkman, Slinkman & Wynne, P.A. We offer a free initial consultation: our phone number is (561) 686-3400 and our email address is info@sswlawfl.com. At Slinkman, Slinkman, & Wynne, we know that automobile accidents involving children happen. We help our clients obtain payment to cover hospital and other medical expenses, pain and suffering, and more, if the situation warrants it. If you want to learn more about how we can help you in a situation where someone you love has been in an accident, then go to this page on our website: http://sswlawfl.com/areas-of-practice/accidents-serious-injury/. We also specialize in Wrongful Death & Serious Injury, Medical Malpractice, Slip and Fall, Defective Products, Motorcycle accidents, Boating accidents and many other types of legal situations where injury or death has occurred. Whether you are in Palm Beach Gardens, Jupiter, Stuart, West Palm Beach or any other city in the state of Florida, you need to find and hire a law firm that has the level of knowledge and experience that will get you the financial results you deserve, while also working with you throughout your case until some type of resolution has been reached. With over four decades of experience, that firm is Slinkman, Slinkman, & Wynne, where we have been devoted to protecting south Florida families for over 40 years. At Slinkman, Slinkman & Wynne, P.A. we realize that most Florida residents reading this blog do not want to read through the rather complicated and long-winded statutes that discuss insurance requirements. You want to know what they are and how they affect you and your loved ones, in plain English. $10,000 in property damage liability (PDL) benefits. Florida does not, however, require drivers to have bodily injury liability (BIL) benefits (which pay the costs of others’ injuries if a crash occurs). Most other states do require you to have BIL benefits in your insurance coverage. All auto insurance policies must be purchased from insurers licensed to do business in Florida. Driving without insurance in Florida is illegal, and a driver may have his or her license suspended if caught driving without at least the minimum required insurance. To get a license reinstated, a driver has to show proof of insurance on every vehicle owned in the state of Florida, and must pay a fine of up to $500 per violation. These are just the basic rules of insurance as they are presently constituted here in Florida. Our Board Certified lawyers from Slinkman, Slinkman, & Wynne are the right lawyers to get you the best settlement that you deserve based upon your unique set of circumstances when you have been involved in an automobile accident. We will find out what coverage you and all of the motorists involved in the accident have – making sure to ask all of the right questions of all companies and interested parties in your case. If a person you care about gets hurt or killed in a car, motorcycle or boating accident, or you simply have a question about a potential personal injury situation that you have not yet had answered, please call us at Slinkman, Slinkman & Wynne, P.A. We offer a free initial consultation, and our phone number is (561) 686-3400. At Slinkman, Slinkman, & Wynne, we understand that motor vehicle accidents happen every day. We also understand that not everyone has the minimum insurance coverage required under the current state statutes. We help our clients obtain payment to cover hospital and other medical expenses, pain and suffering, and more, if the situation warrants it. If you want to learn more about how we can help you in a situation where someone you love has been in an accident, then go to this page on our website: http://sswlawfl.com/areas-of-practice/accidents-serious-injury/. We also specialize in Wrongful Death & Serious Injury, Medical Malpractice, Defective Products, and many other types of legal situations where injury or death has occurred. With the holiday season upon us comes lots of food, fun, good cheer – and many opportunities for drinking, partying and driving. Unfortunately, there are some people who drink too much. Accidents that involve drinking and driving spike at this time of year, according to the National Highway Traffic Safety Administration (NHTSA). In fact, the number of fatalities rises 25% on an average day during the holiday season, and as much as 50% over the New Year’s holiday. If you are involved in an accident caused by someone who is impaired by drugs or alcohol in the state of Florida that person is held responsible for all damages incurred. That is obvious to most people. Fewer people realize that in this scenario they are also considered a victim of a criminal act under our state law. Obviously, drunk drivers are responsible for all damages incurred when they cause an accident. In addition, since Florida does not require mandatory insurance for car owners, there may be another defendant that you can recover money and damages from. Who is that? The person or restaurant who served the drinker the alcohol, that’s who. what was the person’s specific behavior and alcohol consumption on the night of the incident. These are just a few of the important questions that your attorney must get answers to for you to have a chance at winning a case against the person or establishment that served the drunk driver. You need to hire a law firm with lawyers who have the experience and knowledge combined with the dogged determination to get all the information to help you win your case. If you or a person you care about gets injured in an accident caused by a drunk driver or you simply have a question about a potential personal injury situation that you have not yet had answered, call us now at Slinkman, Slinkman & Wynne, P.A. We offer a free initial consultation, and our phone number is (561) 686-3400. At Slinkman, Slinkman, & Wynne, we know that drunk driving accidents happen all the time. If you are in an accident because of the negligence of another driver, or the establishment who overserved that person, then you need to contact us right away. We help our clients obtain payment to cover hospital and other medical expenses, pain and suffering, and more, if the situation warrants it. If you want to learn more about how we can help you in a situation where someone you love has been in an accident, then go to this page on our website: http://sswlawfl.com/areas-of-practice/accidents-serious-injury/. We also specialize in Wrongful Death & Serious Injury, Medical Malpractice, Slip and Fall, Defective Products, and many other types of legal situations where injury or death has occurred. Arbitration like mediation is an alternative to litigation. Arbitration is generally conducted with a panel of multiple arbitrators who take on a role like that of a judge, make decisions about evidence and give written opinions (which can be binding or non-binding). Although arbitration is sometimes conducted with one arbitrator, the most common procedure is for each side to select an arbitrator. Then, those two arbitrators select a third arbitrator, at which point the dispute is presented to the three chosen arbitrators. Decisions are made by majority vote. Many times arbitration is required in a contract and the contract will set forth which persons can sit as arbitrators. The main reason for this is to ensure that the arbitrators have an understanding and knowledge of the industry in which the arbitration is dealing with. For example, a contract between a pool construction contractor and a homeowner might require binding arbitration if there are any disputes regarding the construction of the pool. The contract can require that the arbitrators must be active members of the Association of Pool and Spa Professionals. Having this requirement in the contract can provide some piece of mind to the contractor due the fact that the decision maker is intimately familiar and works in the pool or spa industry. One of the benefits of choosing arbitration over litigation is the fact that the arbitration process is generally faster. According to a study by the Federal Mediation and Conciliation Services, the average time from filing to decision was about 475 days in an arbitrated case, while a similar case took from 18 months to three years to wend its way through the courts. Another benefit to arbitration is that the parties have flexibility as to when the arbitration will occur allowing the parties to agree to a date, time and location which is convenient for them. In comparison when a matter is in litigation the trial date is dictated by the Judge’s schedule with the parties having little to no input in the decision as to the trial date. While not every case is perfect for arbitration, it is an avenue which can be effective and should be considered by the parties to a dispute prior to filing a lawsuit. Ryan Wynne, the author of this article, is an attorney with the firm Slinkman, Slinkman & Wynne, P.A. who has practiced law in south Florida since 2007. If you want to learn more about mediation, arbitration, litigation and what the chances are of your personal injury case settling before going to trial in Jupiter, Palm Beach Gardens, West Palm Beach, Stuart, or anywhere else in the state of Florida then you should contact Slinkman, Slinkman & Wynn, P.A. Or, if you have questions about many other real world legal issues in cases of serious injury claims, auto accidents, wrongful death, medical malpractice, motorcycle accidents, boating accidents, nursing home, products liability, insurance litigation, law enforcement misconduct, commercial law and other personal injury cases in Jupiter, West Palm Beach, or throughout the state of Florida, you need to contact a firm with a level of expertise that yields results. That firm is Slinkman, Slinkman & Wynn, at http://www.sswlawfl.com. Our office is located at 1015 W. Indiantown Road, Suite 101A in Jupiter, Florida. You can contact us by phone at (561) 686-3400, or via email at info@sswlawfl.com. Contact us today for a FREE initial consultation. Medical Malpractice – what happens when a healthcare professional acts negligently? Being a medical practitioner is not an easy job. Most people do not realize how fragile their bodies really are – and making them healthy and strong after an injury or sickness rarely happens overnight. Although most doctors and nurses do great work every single day, once in a while they make mistakes just like the rest of us. Sometimes those mistakes are unavoidable… while other times, unfortunately, they are not. If you or a loved one have been injured by the carelessness of a doctor, hospital, nurse, or other health care provider, the attorneys at Slinkman, Slinkman & Wynne can help you pursue a case against the negligent party. When a healthcare professional acts negligently, causing injury or death to a patient, that patient or their loved ones may be entitled to collect damages. The attorneys at Slinkman, Slinkman & Wynne are experienced professionals in seeking due compensation for such occurrences. Medical malpractice is a form of negligence that happens when an injury or wrongful death occurs due to the failure of a medical professional or medical facility (doctor, nurse, medical technician, psychiatrist, psychologist, hospital, healthcare facility, etc.) to exercise the appropriate care, skill or diligence necessary to properly care for the medical condition. All medical providers, including doctors and nurses, have a duty to use the appropriate care and diligence to diagnose your illness and provide the proper treatment for such illness. An important factor to note in the determination of whether a duty of care is met depends upon the standard of care for that professional or facility in their community. Simply put, the applicable duty arises from the accepted practices of other professionals or facilities in the same field and geographical area. In the case of a doctor who is a medical specialist, the standard of care is determined by the standard of good medical practice in that specialty within the community. At Slinkman, Slinkman & Wynne, P.A. we will help you to determine “duty of care” and many other important factors in your particular situation to see if you have a legitimate case. As with all type of cases, you only have a limited amount of time in which to pursue a medical malpractice case. Take control of the situation and get the compensation you deserve for your injuries. Enlist the help of our attorneys that work on your behalf to pursue your case and obtain the recover that you deserve. If you or a loved one were injured as a result of medical malpractice or you simply have a question that has not yet been answered, please call Slinkman, Slinkman & Wynne. At Slinkman, Slinkman, & Wynne, P.A., we understand that Medical Malpractice can occur even with the best doctors or nurses. We help clients obtain payment for medical bills, lost wages, and pain and suffering due to Medical Malpractice. 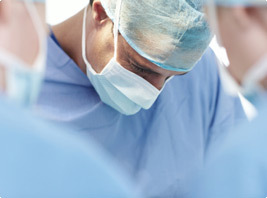 If you want to learn more about how to go about hiring the right attorneys for you in a situation where you or your loved one has been injured or killed in a case of Medical Malpractice, then go to http://sswlawfl.com/areas-of-practice/medical-malpractice/. We also specialize in Accident & Serious Injury, Wrongful Death, Defective Products and many other types of legal situations where injury or death has occurred. Whether you are in Jupiter, Palm Beach Gardens, Stuart, West Palm Beach or any other location throughout the state of Florida, you need to find and hire a law firm that has the level of knowledge and experience that will yield you maximum results, while also working with you throughout your particular situation until it is resolved. With over four decades of experience, that firm is Slinkman, Slinkman, & Wynne. Contact us today for a FREE initial consultation. Our main office is located in south Florida in Jupiter at 1015 W. Indiantown Road, Suite 101A. You can contact us directly at (561) 686-3400, or via email at info@sswlawfl.com. Check out our website at http://www.sswlawfl.com.